Of course, spin fishing is still welcome. Ultra-light outfits with smooth drags and plenty of backing will get it done. Rods should be fast action, 7-footers with strung with either high-tech braid or at least 150 yards of 10-20 pound mono. 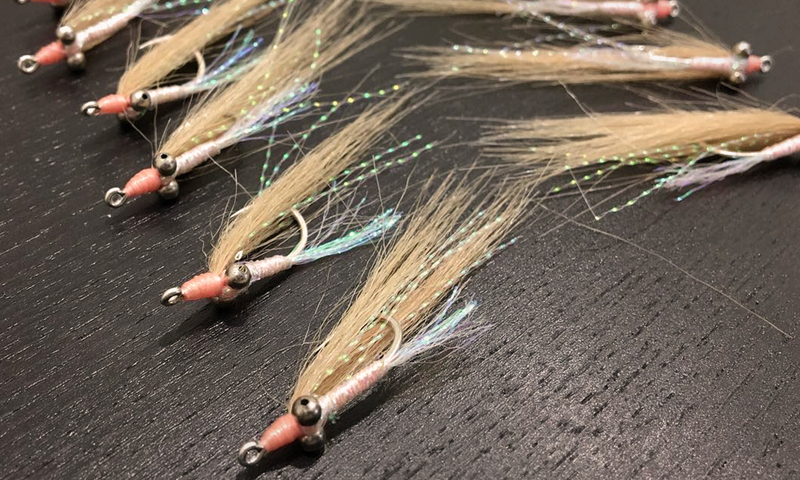 For bonefish bucktails like Millie’s Classics 155 bonefish jig work great, especially in light colors like white, tan and pink. Bring a variety of weights to handle varying conditions and water depth. 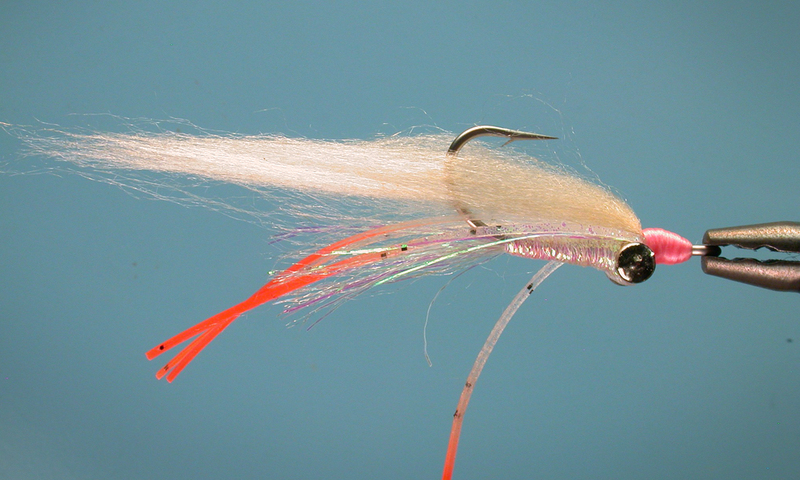 For tarpon you’ll want to add on a few feet of 60-100 pound fluorocarbon bite tippet. 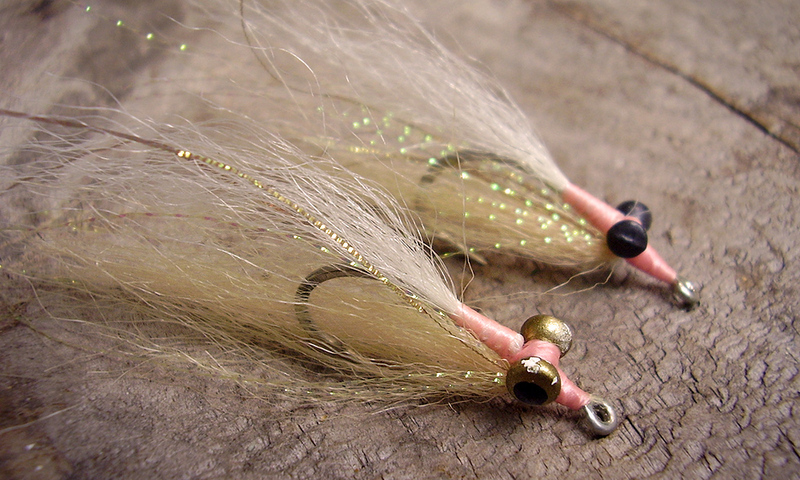 Tarpon love flashy spoon and crankbaits (saltwater grade), but they’ll also grab a bonefish jig if fished right. Spinning tackle is also great for targeting large barracudas on the flats, but you’ll need a wire leader for these toothy critters. While they’ll eat tarpon lures, one of our favorite lures is a Cuda-Tube, a long colorful lure with the wire trace built in. 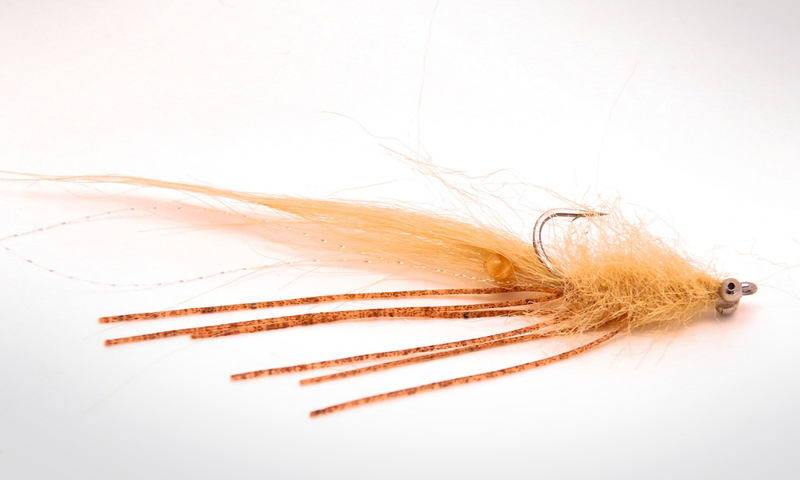 Great for site fishing the flats or blind casting deeper channels. Leaders: 16-20 lb, 10-12 ft.
Reels: Min. 150 yds. 20 lb. backing. Large Arbor preferred (size to match Rod). Rods: 9-12 Weight, Medium to Fast-Action w/ matching reel/line. Leaders: 16-30 lb, 10-12 ft. Bite Tippet: 1-2 ft of 60-100 pound fluoro bite tippet. There are no stock trips here. We cater to discerning anglers who know what they want. 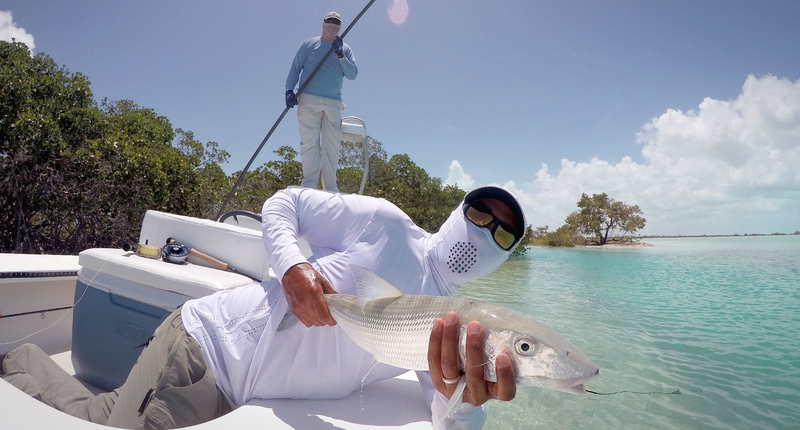 Whether you want to simply catch a bunch of bonefish, stalk tailing bones on foot or hunt big bonefish, we’ve got you covered. Regardless of what you’re fishing for the daily schedule is pretty much the same. The flats of Andros are a wonder of the fishing world. Nowhere else can you find such endless flats and variety of habitat. Even though Andros seems like one island, it’s technically a series of cays intercut with “creeks” that run east to west, connecting the Atlantic with the Caribbean. In between you’ll find reefs, deep channels, grassy flats, sandy bays, oceanside beaches, and mangrove shoreline. Big Charlie’s is a 5 minute run from the largest of these east-west channels: the North Bight. With it’s proximity to the Tongue of the Ocean, the North Bight is a major bonefish highway for fish heading offshore to spawn. Nearby deep water also means that there’s a fresh supply of cool, oxygenated water and nutrients, ideal conditions to breed monster bonefish, and plenty of them. 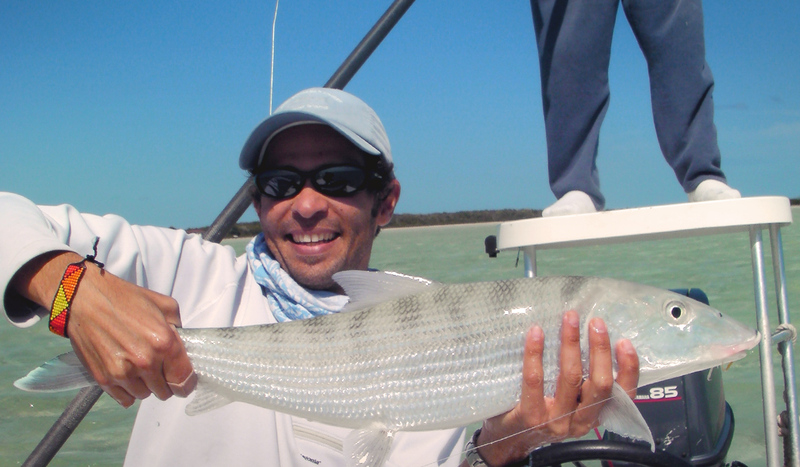 The sheer size of Andros is why most guides prefer to fish from a skiff: you can cover more ground to find the fish. 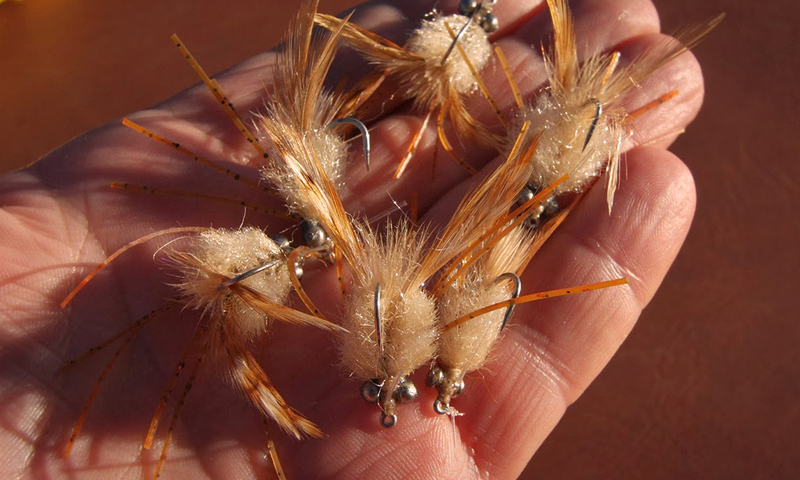 Bonefish are not structure-oriented, but move on and off the flats with the tides. Fishing from a skiff does require different skills than wading or river fishing. This is where teamwork between the guide and angler really come into play. High on his platform, the guide is the eyes of the team. A good guide can talk an angler into catching a bonefish the angler never sees; all you’ve got to do is follow their guidance. 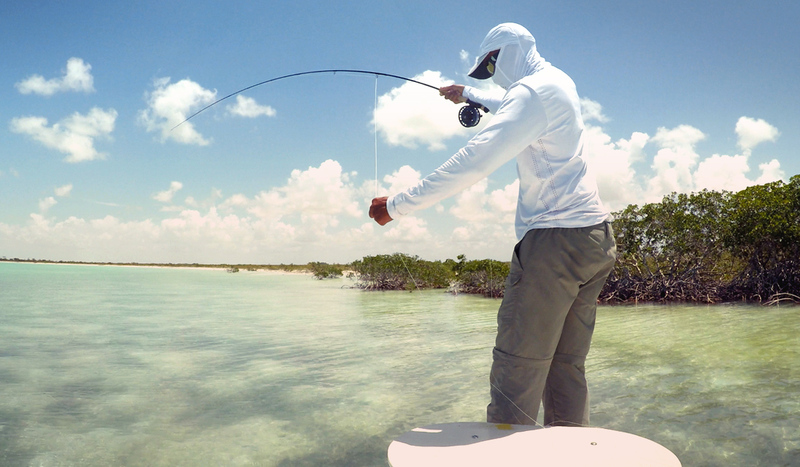 There’s nothing like hooking a bonefish in ankle-deep water and watching your fly-line slicing across the flat. 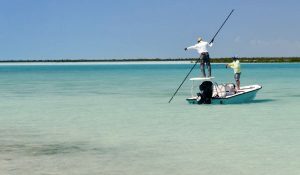 Of course, if you prefer to wade there are endless firm, shallow flats, and our guides will find the best ones for the tide at hand. Wading is a great way to go one-on-one with bonefish and there’s nothing like stalking and hooking a bonefish in ankle-deep water and watching your flyline slicing across the flat toward deeper water. One of the main attractions for bonefish anglers to the North Bight is the proximity of the West Side. In good weather it’s a 45-min run, but well-worth it. 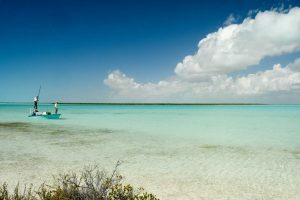 Andros’ West Side is an untouched saltwater paradise: no houses, no roads, no trash and almost signs of people—nothing but shallow water and bonefish as far as the eye can see. During the summer this is also a great place for tarpon. These fish seem to migrate over the Great Bahama Bank on their way to Florida or elsewhere. 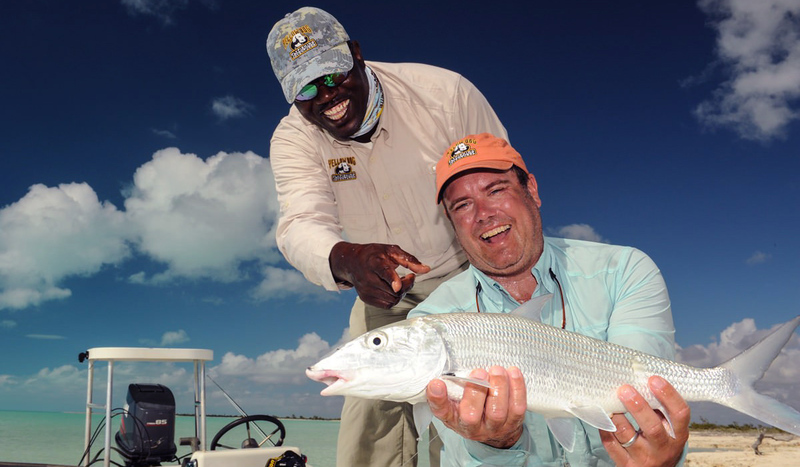 Fishing the West Side is something every serious bonefish angler needs to do at least once, and using Big Charlie’s as a basecamp is a great way to do it. 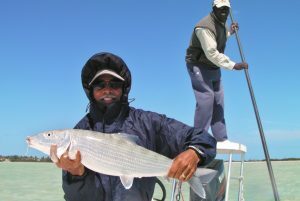 The main Bahamas bonefishing season runs from October through June. Being on North Andros, Big Charlie’s Lodge is on the perfect latitude to catch some of the early winter cold fronts. These drop the water temps, drive off the mosquitoes and bring big bones into shallow water to feed. That makes us one of the best places to bonefish in December – March. We’re talking cool, bluebird days and big bones! However, with the proximity of deep, cooler water, North Andros is really a year-round fishery. You might hear that summer is slow season, but that’s not actually referring to the fishing. In fact, that’s referring to the tourist season itself. Summertime is when school is out and many people do family travel and road-trips. Of course, it’s also hurricane season. However, one of the little-known secrets is summer is when you’ll find tarpon and permit on the flats here, especially on the West Side. 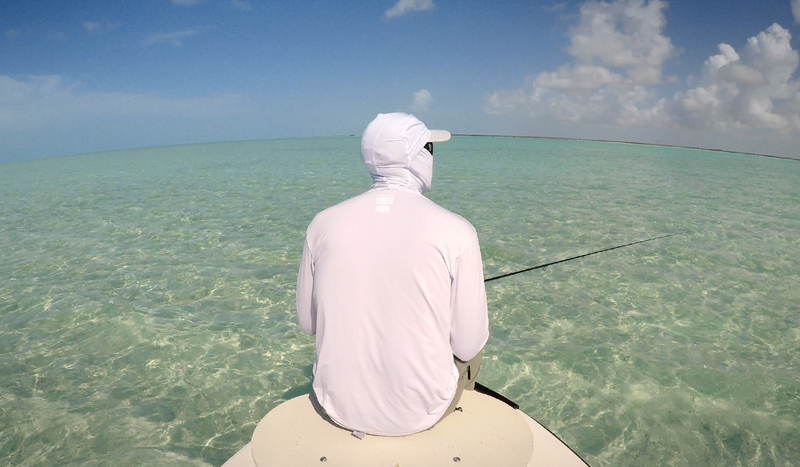 Imagine that: endless bonefish flats all to yourself, plus permit and tarpon as a bonus. Includes: Guided Fishing, Lodging, All Meals and Drinks & Taxes (VAT).